To end the week we have yet another example of a Clarke street shot. This kind of candid photograph is much practiced and has many followers. Given the equipment Clarke had available at the time however, these are especially fine examples! 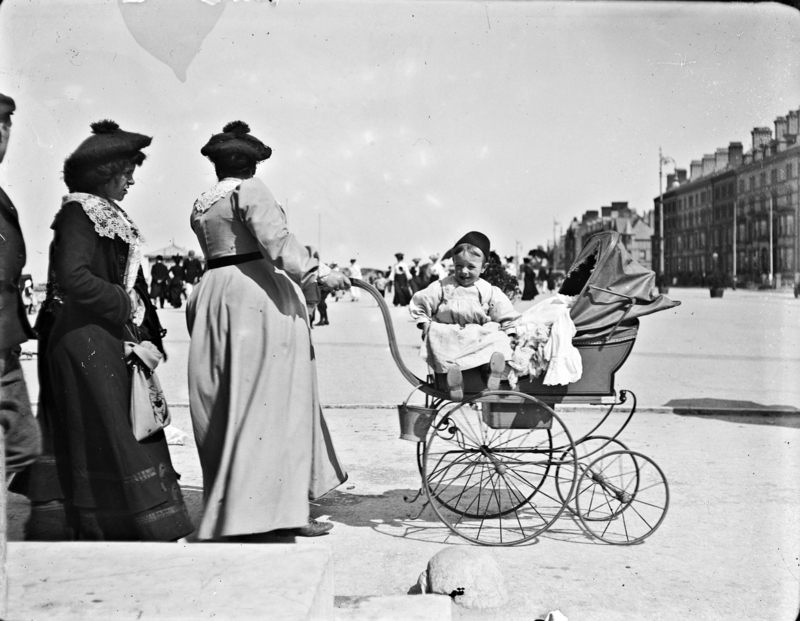 That young buck sitting on the side of the pram looks like he he is being held back or he would run wild! Where was it taken and when? Perhaps La Belle Province can help identify the headgear and help with the date? 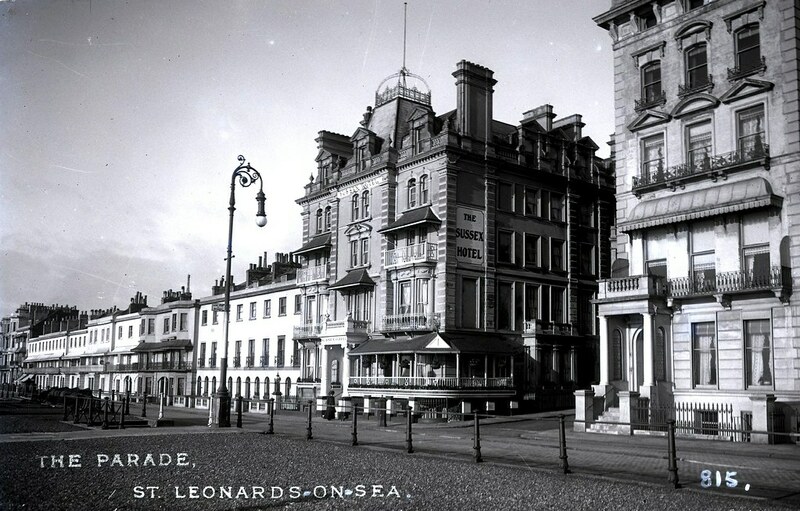 Dun Laoghaire or Salthill perhaps? Very early for the electric lighting. Bray, even? No, that 4 storey terrace looks taller then Bray. Sun angle suggests the terrace may be facing North to the sea? Brilliant shot. The young fella is gas. His hat especially intriguing. A young Tommy Cooper perhaps? [https://www.flickr.com/photos/frankc_ie] Excellent detective work, welcome to the fold!! [https://www.flickr.com/photos/beachcomberaustralia] You will get overtime for working on a Saturday!! [https://www.flickr.com/photos/frankc_ie] Well done! 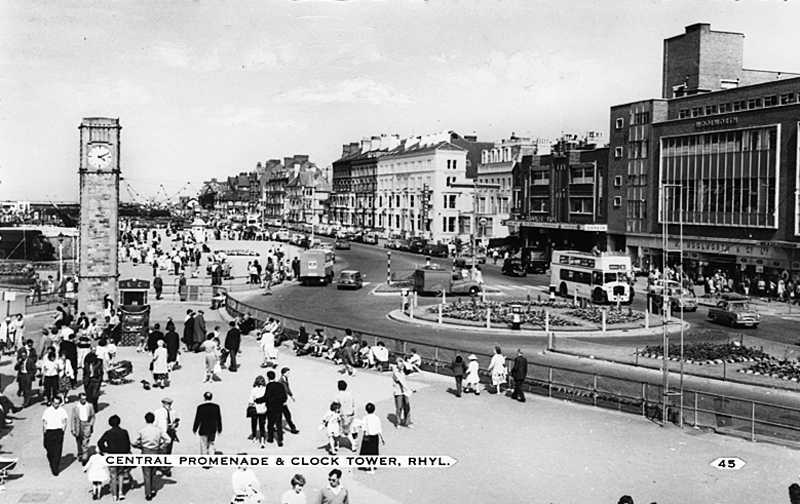 Rhyl it is, and indeed the terrace is facing NW to the sea per the sun angle. [https://www.flickr.com/photos/gnmcauley] The Sun never lets us down! [https://www.flickr.com/photos/frankc_ie] Here is a link to the Catalogue photo you mentioned CLAR67 And, in the meantime, based on your inputs (and corroberation from others) I've updated the map/description/etc. Thanks again! Hmmm. Is that wee bucket for what I think it's for?